The set contains windows, doors, arches, column, fences, gates, stairs and floors. 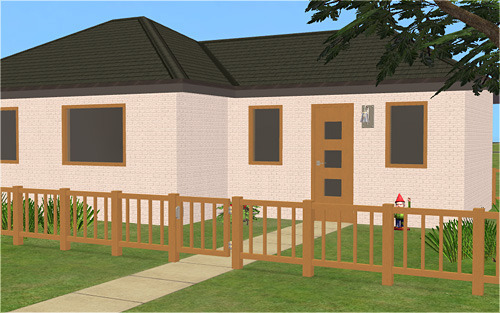 Everything but fences and modular stairs is slaved to master mesh (BuBu Build Master.package). - for modular stairs you need installed Scriptorium and put txt file (7997_[Veranka]_BuBu_Build_Modular_Stairs.txt) to "Program Files\EA GAMES\The Sims 2\TSData\Res\Catalog\Scripts\Scriptorium_ModularStairs\"
Everything looks great, especially the doors. My game always need more doors. Thank you! I love the style of this entire set, so simple and elegant! The stairs works fin in my game, but they have no price or description and they cost nothing. I tried to fix it myself but can't find what the problem is. Is this just a problem for me and of not, do you know how to fix it?